Double Jackpot is a free slot game that has a stunning visual vibrancy which is far better reviewed as well above average by its multitude of players. It is available in Appstore, Google Playstore and Facebook offering full flexibility to play according to the user’s accessibility in different platforms. Double Jackpot has all the splendid elements that an enjoyable casino game should offer the visual, the sounds, the Jackpots, Big Wins and all that comes as a pack of excitement. With so many online casino games existing in the internet it is hard to search what stands out in the bulk of free casino games. Quite distinctively, Double Jackpot is a captivating game that is designed to be simple and relaxing to offer the players a feel of excitement and closest experience of a real casino that will make your gaming worthwhile. The machines are truly based on the payout schemes of real slot machines of Vegas with a modern feel. This means what you are about to have is a fulfilling authentic game of slot machines, the best a casino slot lover can get. 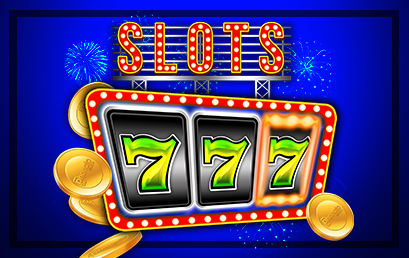 The modish part about Double Jackpot is there is an enticing collection of enchanting slot machines – over 16 different machines. You can spin the 10x machines and Win 2000 times your bet or the Spin till Wild that gets you Big Wins progressively and many more. With these machines there are over 150+ ways of hitting a good win and Jackpot in the game. Starting from your first visit you will receive a welcome bonus and can continue to claim bonus coins from its multiple bonus schemes. Every round of game comes with tournament that features many people on the challenge leader board. Another good feature that Double Jackpot has over many online casino games is the playability in offline mode, you won’t require to connect to internet every time you want to play. Above else this free slot game offers free giveaways and fun activities everyday on facebook via posts so that a player running out of coins have the chance to save some more coins and continue playing. If you have spinned a lot of good slot games but are not trying something new, you should try Double Jackpot to experience something realistic both visually and by gaming experience. Go give it a try and you will be happy to have done so.